Guests can expect world-renowned drag performances, signature cocktails, dancing, prizes and special guests. Legendary drag queen Jewels will be host for the evening alongside an all-star lineup of RuPaul’s Drag Race celebrities and performances by DREAMGIRLS Revue, followed by music provided by DJ Smuckers, according to the announcement. 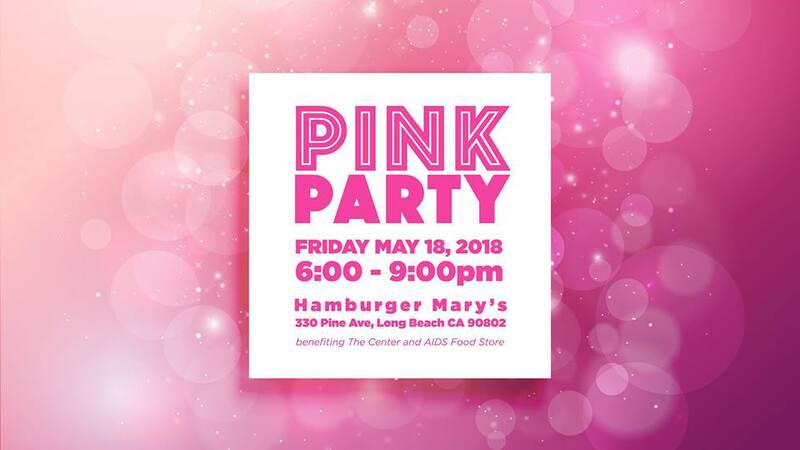 For nearly a decade, the Pink Party has served as the kick off to Pride Weekend, and with two empowering organizations presenting this year’s event it’s sure to exceed expectations. The Center serves 25,000 clients annually through a range of health, wellness and cultural programming, while AIDS Food Store is the longest serving provider of food to HIV-affected communities in Southern California. Doors open at 6:00PM, with all ticket sales directly benefiting The Center and the AIDS Food Store. Pre-sale tickets are available online for $15 and are $20 at the door. Limited VIP tables ,including premiere seating for the drag show, gourmet appetizers and hosted cocktails, are available for $1,000. For tickets or more information visit The Center’s website here. Hamburger Mary’s is located at 330 Pine Avenue.